1. 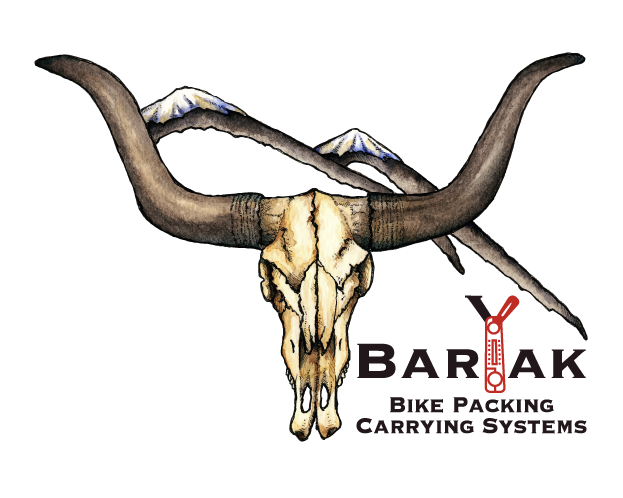 Trans South Dakota Race, BarYak LLC, Kokopelli Packraft, the race director, volunteers, sponsors, and all those involved in bringing this race about are not responsible for your safety or your well-being. 2. Each participant is considered to be on a private excursion and remains solely responsible for any accidents in which he or she may be involved. No responsibility can be accepted for participants becoming lost, stranded, injured, or worse. 3. Participants must obey all laws: city, county, state, federal, etc. They must conduct themselves at all times in a manner that will not bring discredit to the event . Any illegal substances that may enhance a racers performance will be banned. 4. You are on your own. Use your head. Watch for and yield to traffic; there will be no course marshals to hold up traffic. Yield to all emergency vehicles. 5. You are not allowed to take any assistance from friends or family, and no pre-arranged support, doing so will result in a DQ. You are allowed to take assistance from the economy and other racers. i.e.... ranchers, members associated with Trans South Dakota , such as Palace City Pedalers. 6. If you paid for Full transportation, and you DNF on the Course, we will pick you up as soon as time permits .. You might need to wait .. But we will get you back to Sioux Falls. 7. If you didn't Pay for full transportation and you DNF you are responsible for getting your own transportation. You may request us to pick you up from the course at that time, there will be an extra charge for non-prepaid transportation package. ( Ask for details ) Also, Triple A ( AAA ) provides pickup services for Cyclist's in South Dakota if you are a member, "Please check with your Provider for Details"
6. Participants will be responsible for downloading course maps, GPX files we supply to all Registered Trans South Dakota Racers prior to race day. These files will be riders’ means of navigation. There will be no course markings. Some street signs are missing or illegible. 7. There will be 3 checkpoints along the route where all participants must check in. *Important* Additionally, you will also be responsible for posting pictures on Facebook under Tina-Joe Stiller with your mileage. 8. A cut-off time will be established for reaching each checkpoint. Any participant not reaching a checkpoint before the established cut-off time will not be allowed to continue past that point. 9a. If you exit the course for food, supplies, or any other reason, you must re-enter the course at the same spot at which you left. If you get lost, you must backtrack to the point you left the course. 10. Participants may not advance along the route by any means other than by bicycle or by foot. 12. While operating their bicycle, participants must wear wear a securely fastened helmet that meets the U.S. Consumer Product Safety Commission (CPSC) standard for bicycle helmets. 13. All participants must have at least one clear front headlight and one red taillight for the duration of the event. More is better. All participants must have something reflective on their body, in case they are off the bike; e.g., vest, arm or leg bands, clothing. More is better. 14. Participants in the single speed class shall be permitted to carrying one or more gearing combination on their bike. 15. Participants in the fat bike class shall have tires with a width of 3.6″ or more. 16. No e-bikes, electric assist, nor anything other than a 100% human powered, two-wheeled vehicle is allowed. 17. You are required to have and use, whether renting, borrowing or owning a Spot or InReach satellite tracker in working condition the entire event. You will be responsible for assuring its working performance. Any anomaly in your track history due to being turned off, or dead batteries may be subjected to DNF. This is up to the discretion of the race director. 18. GPS you are responsible for supplying a GPS unit that is capable of navigation using a GPX file, we highly recommend you have a working knowledge of using this feature for navigation, for it will be your only means to navigate this route. 19. Protest: any racer filing a protest has a 24 hour window, participants subjected will be obligated to allow the race director to review their Garmin and Spot / InReach history. For racers that can’t supply all their historical data this may be subject to a DQ. Final decision is the race directors. This is not negotiable. 20. Trans South Dakota Bikepacking Race is a self-supported, ultracycling event on the gravel, open prairies, dirt roads and a river crossing . Participants should carry with them necessary food, water, equipment, and or money for C-stores. Caching supplies along the course is not allowed, also dumping gear and equipment off your bike to be picked up at a later time frame is considered polluting by our standards and will result in a DQ. 23. Drafting on another event participant is allowed. Drafting on a non-participant cyclist or on a motorized vehicle will result in disqualification from the event. 24. Have a plan for whom to contact in an emergency or in case you cannot finish the race and need to be picked up. Note that cell service is limited; be prepared to travel several miles to receive a signal. 25. Participants may, in the case of an emergency, mechanical failure, or other unforeseeable problem, be assisted by motorized transport. By accepting such motorized transport, you will be automatically disqualified from the event. 26. If a participant needs to withdraw from the race, notify the race directer via the phone number that will be provided to all registered participants. 27. ( DQ... disqualified ) Any participant disqualified, forfeits any prizes or services and is no longer a participant in the Trans South Dakota Race and must leave the course immediately.